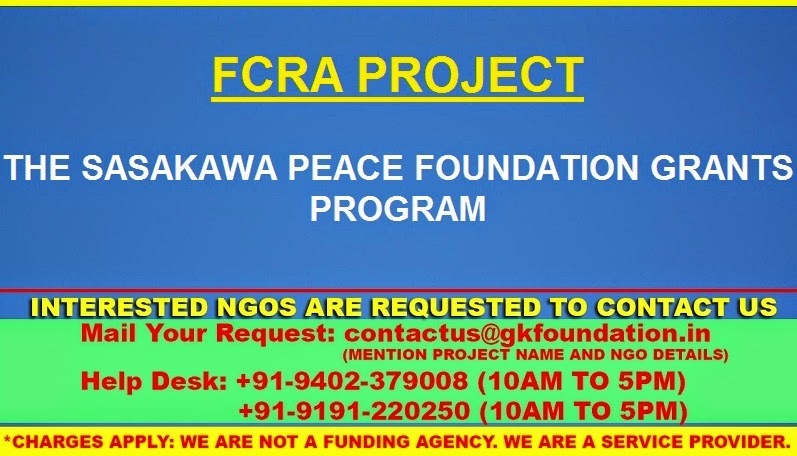 The Sasakawa Peace Foundation accepts grant applications from non-governmental and voluntary organizations around the world to benefit from its Regular Projects Fund (focusing issues) and Special Fund (focusing regions). The proposed programs must promote international understanding, exchange, and cooperation, and must accord with program policy of SPF (for regular projects) and program guidelines of SPF special funds to secure funding. The SPF is a private nonprofit foundation that promotes Japan’s international contribution, seeks to resolve global issues, endeavors to strengthen mutual understanding and cooperation with priority regions. From 1 to 3 years. SPF awards grants annually. The SPF budget year begins April 1, and ends the following March 31. Regardless of the start date of a project, it should end in March, at which time expenditure and narrative reports of the results should be submitted.